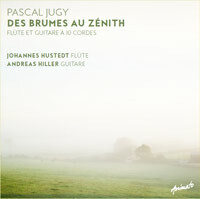 CD "Musik for Flute and Organ at Vilnius Cathedral"
CD "Se Vende - Latin Music for Flute and Guitar"
Johannes Hustedt studied music pedagogy and flute in Bremen with Renate Ruge-von Rohden and in Karlsruhe with Renate Greiss-Armin, where he passed the concert examination with honours in 1990. Master courses with Aurèle Nicolet, Alain Marion, Paul Meisen and András Adorjan rounded off his studies. Deeply involved in musical-cultural exchange, he concertises worldwide as soloist and chamber-music partner, also participating in world premieres, radio and television productions. His playing is inspired by a lively interaction with music from all cultural groups, especially Asia, South America and Eastern Europe. Projects in historical performance practice with the baroque flute, interdisciplinary dance, music and theatrical projects as well as border-crossings between improvisation and composition enrich his artistic expression. Johannes Hustedt is a frequent guest at renowned music festivals including the Ludwigsburg Castle Festival, Hohenlohe Cultural Summer, the Frankfurt/Oder Music Festival, the festival of the "Centro para la Difusión de la Música Contemporánea" in the Círculo de Bellas Artes in Madrid, "ProBaltica" Warsaw, the Thomas Mann Festival Nida in Lithuania, the GAIDA New Music Festival in Vilnius, as well as at the New Opera Toronto, California State University in Los Angeles and the New York City Series. His CDs issued by Koch International, RBM, Animato, SwissPan, Guild Music and Sargasso have met with major international recognition. Within the scope of his diverse soloistic activity, he can be heard with the Lithuanian Chamber Orchestra, the St. Christopher Chamber Orchestra of Vilnius, the Baden-Baden Philharmonic and the Southwest Chamber Orchestra Pforzheim, among others. 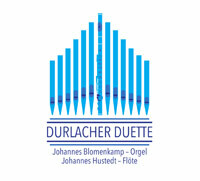 Johannes Hustedt was a founding member of the Gamelan Orchestra of the Overseas Museum in Bremen, Artistic Director of the Baltic Days during the Hermann Hesse Year 2002 in Calw and Cultural Ambassador of the Province of Baden-Württemberg during the German-Canadian cultural exchange in 2006. 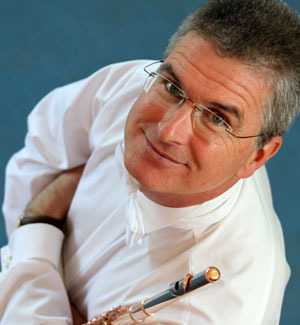 Johannes Hustedt has been teaching at the Karlsruhe University of Music since 1990 and is in international demand as a guest instructor, e.g. at the Hindemith Foundation in Blonay, the Bremen Academy of the Arts, the Universities of Rio de Janeiro, Salvador da Bahia and Los Angeles as well as the National Music Academies in Kiev and Vilnius. 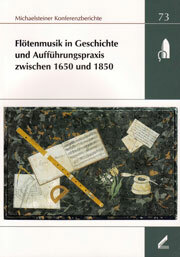 From 1996 until 2005 he also taught at the University of Music in Basle. He is the author of scholarly articles, the focus of which, aside from methodical-didactical subjects, is presently on the music of the Baltic region and the composers of the Mannheim Court. Together with his wife, the artist Chai Min Werner, he founded the Kunsthaus-Durlach in 2006, the chief concern of which is to enable people to directly experience spirituality, music and the visual arts. Being chairman of the regional Association Karlsruhe since 2013, Johannes Hustedt also became vice-president of "Tonkünstlerverband Baden-Württemberg" in 2015. Hustedt hat sich als souveräner Flötist und reifer Musiker von hohem Niveau erwiesen. ... Sein einfühlsames Eingehen auf seine Kammermusikpartner überzeugte ebenso wie seine eigene Kreativität bei der Interpretation. Auffallend war seine klare und präzise Ensembleleitung, die ein sensibles Gestalten bei größter Offenheit ermöglichte. Er ist ein Flötist und Musiker von sehr hohem Niveau, ... in der Tat ein ganz und gar außergewöhnlicher Künstler. Ich bürge sehr für seine großen flötistischen und und musikalischen Qualitäten.